Located at the offices of Keller William Realty, this seminar will also answer essential questions about property, one of the most important assets in a marriage. This program is suited for men and women who are thinking of divorce or are in the early proceedings of divorce and need to gain the knowledge necessary to move forward. Learn what questions to ask your attorney, financial planners, and more. Each family is unique and your questions are too. This seminar is free but please RSVP as space is limited. 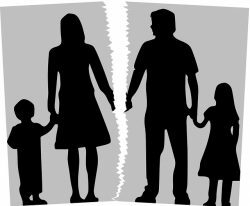 Need Help With Your Family Law Issues?